There are always new things to learn at any exhibition centring on Vincent Van Gogh (1853 – 1890) and new perspectives of his work, even if viewed before, to take away with you. 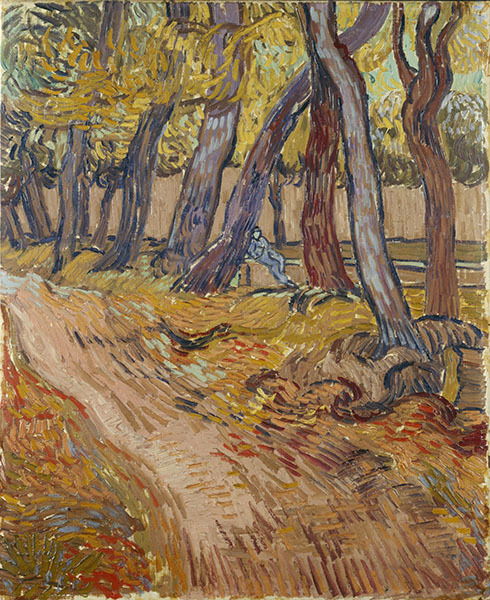 This exhibition, which includes some of the artist’s primary and/or enduring influences as well as paintings by admirers of his art after his death, among them, Francis Bacon, very quickly reminds viewers of one fact…There was only one artist like Van Gogh and none since are his equal in terms of soulfulness and purity of expression via his nothing held back way of painting, which was in his case, simply the way he instinctively worked, rather than an orchestrated approach. I have no shame in saying that I bypassed some of the works by those paying tribute after the fact in this exhibition, not only due to time restraints, but because I went mainly, to those works that drew and held me, not just with their experimental colours and fearlessness of expression, undervalued in the day, but strong sense of artistic presence. 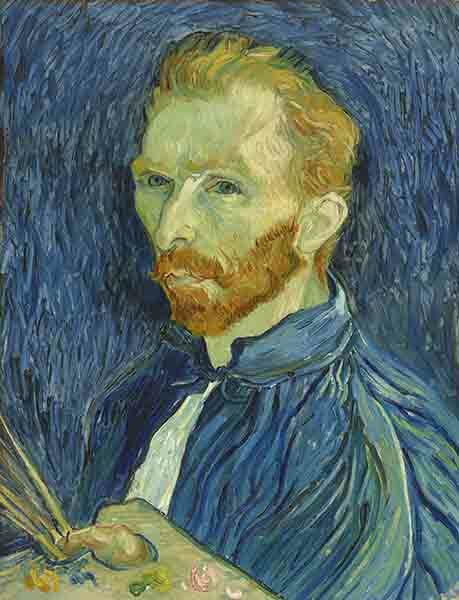 Vincent Van Gogh was twenty when he arrived in London in 1873, having been transferred from Goupil & Cie in The Hague, run by his Uncle Cent, where he’d started working in 1869, age 16, as the firm’s youngest clerk. He’d come, not by choice, but by duty, to work at Goupil, Covent Garden, on the Strand. The transfer was something of a disappointment, as here, Goupil had only a warehouse, whereas, in The Hague, they’d also had a showroom where one could interact with art collectors. Following his time with Goupil, in London, he was transferred to the main, Paris branch. However, by the end of that year, Van Gogh had become disenchanted with the art world, and become more and more religious, as evidenced by Biblical quotes and details of sermons in letters to Theo. His workplace noted his growing indifference and he was dismissed in 1876. Having lost his job in Paris, Van Gogh returned to England for a time, working as an unpaid teaching assistant in Ramsgate, then onto a paid position at a private school, run by a vicar in in Isleworth, where he was permitted to preach, but had no prospects. In Holland for Christmas 1876, his father advised him not to return to England, advice he followed. After working briefly at a bookshop in Rotterdam, Van Gogh spent a year in Amsterdam, living with a minister uncle, where he was meant to be preparing for entrance to a theology college but preferred taking long walks in the surrounding countryside. Eager to be of service to humanity, Van Gogh next lived among the miners of Borinage, Belgium, as a volunteer missionary. 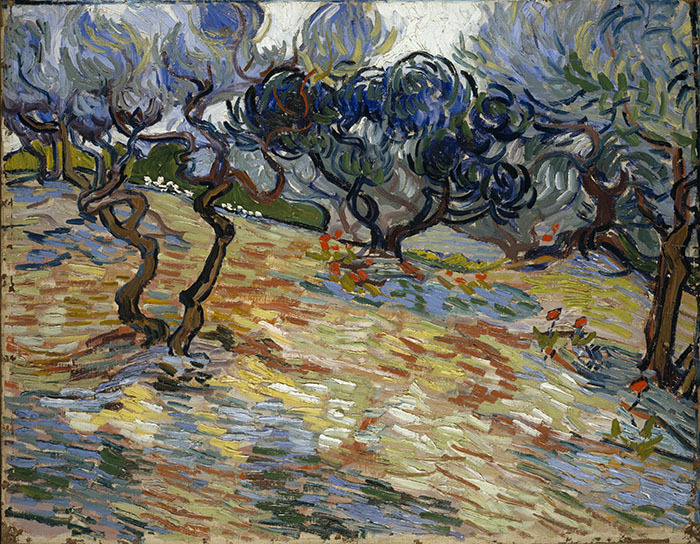 It was during that time that the number of small sketches in his letters to Theo increased, sometimes, accompanied by drawings, prompting Theo to advise Vincent to ‘concentrate on his drawing.’ Realizing he could also serve God through creativity, having infuriated his clerical superiors by giving all of his possessions to the poor, in 1880, Vincent decided to become an artist. Theo, who eventually became manager of Goupil & Cie, Paris, offered emotional and financial support throughout his lifetime, so Vincent could concentrate totally on developing his art. 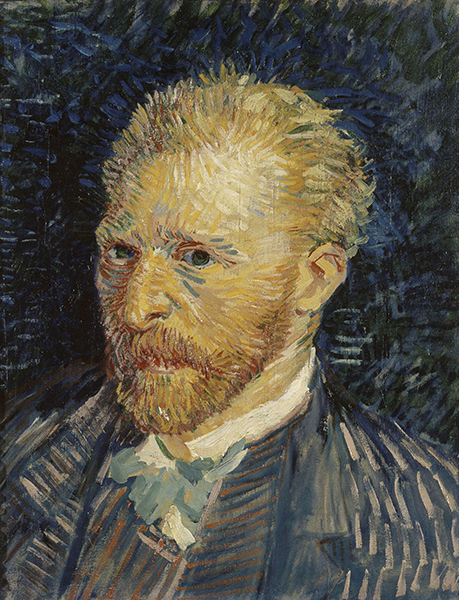 While in the London, Van Gogh had naturally, visited many art galleries, and though this exhibition seeks to claim that the seeds of his desire to become an artist were likely sown in Britain, it would seem that coming from a country as rich in artistic treasures as Holland, among them, those of his beloved Rembrandt, and given his exposure to international art, his leanings would be more European than British. His own early drawings, and prints he avidly collected, many by French artist Gustav Dore, whose critically trounced, nonetheless, commercially successful book, London: A Pilgrimage, published in 1872, exposed the plight of the poor dwelling in the underbelly of the capital, along with favourite author, Charles Dickens, who similarly shown a light on the formerly faceless, were both, lifelong sources of inspiration. Other admired authors were George Elliott, Shakespeare, Victor Hugo and Harriet Beecher Stowe’s ground-breaking novel, Uncle Tom’s Cabin, along with other English, French, Dutch and German authors of note. You might say that Van Gogh’s choice of reading material helped lay the groundwork for his visual art. As he would later write to younger brother, Theo: ‘My whole life is aimed at making the things from everyday life that Dickens describes.’ Those influences, along with a grounding in Theology by his pastor father, an early interest in the subject, and, ultimately, a heightening of his inherent thirst for spirituality, would also inform his artworks, along with the honest renderings of Rembrandt and, French artist Jean-Francois Millet, ‘painter of peasant life’, whose works he copied in Aug. 1880, when he first decided to become an artist. That said, Chill October (1870), on show in the exhibition, an evocative autumn landscape by English artist John Everett Millais, whose work Van Gogh admired, as well as The Valley Farm (1835) by John Constable, also on show, and, Avenue at Middelharnis (1689) by Dutch painter Meindert Hobbema, with its view of a treelined path in South Holland, were also influential. All three were confirmed as as artists that impressed Vincent, along with, in addition to Constable, other ‘old’ British artists, Reynolds and Gainsborough, as he’d written to brother Theo in 1884 when his younger brother worked at Goupil, London to advise him to see them while he was there. Van Gogh Museum, Amsterdam (Vincent van Gogh Foundation). 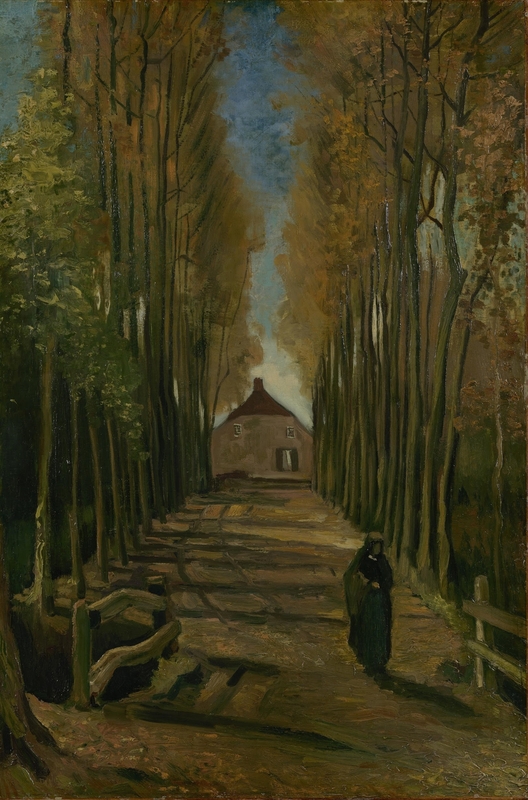 Vincent wrote his first letter to Theo, who started working as a trainee at Goupil’s Belgium branch in 1873, in September, 1872, while he himself was still working in The Hague. Theirs was a lifelong correspondence and much can be learned about Van Gogh’s progress and thoughts on life and art through his letters. Sadly, few of Theo’s letters to Vincent have survived, but those that have are full of encouragement. Theo eventually went on to become manager of Goupil’s Paris branch and Vincent conversed with him via letters more than anyone else, sometimes writing to him on a daily basis. At the outset of the exhibition is rather delightful, The L’Arlesienne (1890), one of six portraits Van Gogh made of his friend, Marie Ginoux, who ran the train station café in Arles. Four of these, including the one on show here, were taken from Gaugin’s charcoal sketch of her, which Vincent painted January – February in San Remy. The portrait is agreeable, not just for its subject’s friendly face, but for the two books that rest on the table before her: Charles Dickens’s Christmas Books and Harriet Beecher Stow’s Uncle Tom’s Cabin, two of Van Gogh’s favourites, as noted in a letter to his sister, Wil. In the midst of Room 3, in the exhibition, we see a facsimile of a (now fragile) letter Vincent wrote to Theo in July, 1875 in which he has done a little sketch of Westminster Bridge. Whistler’s indistinct yet evocative painting of the same subject, Nocturne: Grey and Gold Westminster Bridge (circa 1871-2), here, lends further insight. 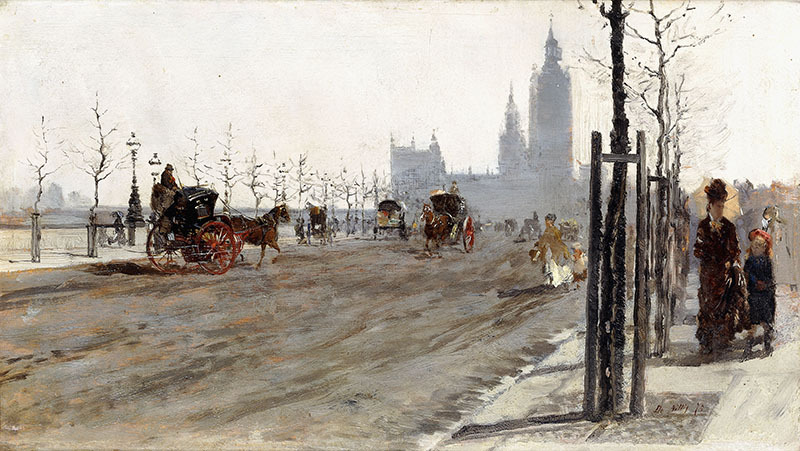 Westminster Bridge, which Van Gogh crossed morning and evening going to and from his boarding house, in all weathers and seasons, on his way to work on the Strand, as painted by Italian Impressionist Giuseppe De Nittis’, in The Victoria Embankment, London (1875) inspired Vincent to write to Theo about his love of London. Perhaps, in addition to Dickens, which Van Gogh read and re-read, the main gift London offered him was a great surge in his letter writing, particularly to Theo, enabling readers to better understand the build-up to his artistic path. During his time in London, letters bear out, only three small drawings were done. Room 3, ‘Black and White: Becoming a Painter of the People,’ also houses Van Gogh’s moving masterwork, Sorrowing Old Man (At Eternity’s Gate) (1890), the latter, also the title of artist/filmmaker Julian Schnabel’s 2018 film about the artist’s final days, in Arles and San Remy, in which Vincent is played by Willem Defoe. This painting, in which pensioner and war veteran, Adrianus Jacobus Zuyderland sits in a plain wood chair hunched over, his face in his hands, at a local alms-house in The Hague, seems to wreak with despair. 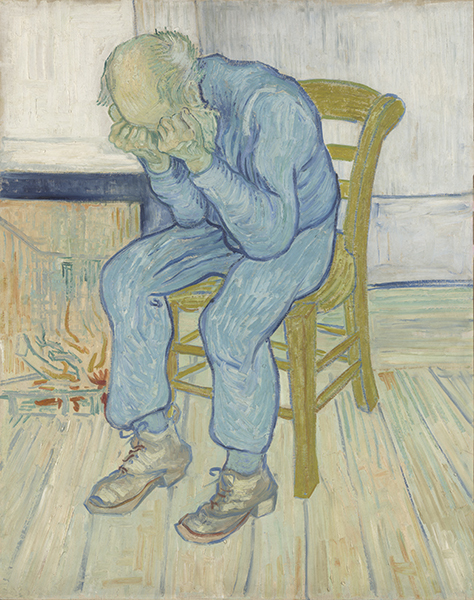 Taken from Van Gogh’s 1881 pencil drawing entitled Worn Out, which he made into a lithograph in 82, which he, in turn, named At Eternity’s Gate, the painting of which was made two months before his untimely death in July of that year. Van Gogh’s ‘81 drawing, Worn Out was inspired by Hubert von Herkomer’s Sunday at the Chelsea Hospital, a print popular when he was in London in 1875, which went on to become an acclaimed painting at the Royal Academy, The Last Muster. 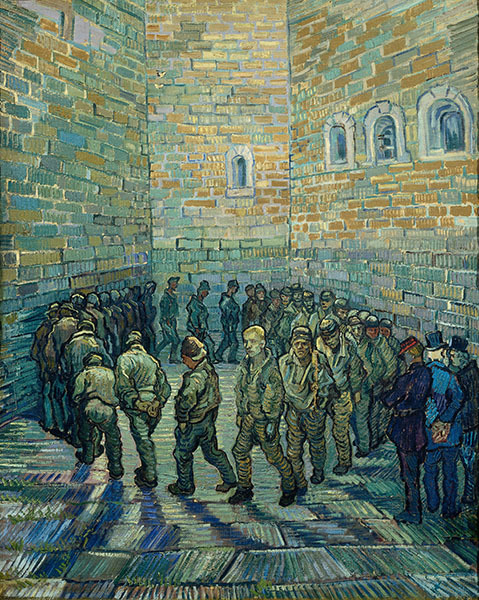 Here too, is very striking, impossible to look away from work, The Prison Courtyard (1890) with its hopelessly lost, depleted, blue/green prisoners, marching in unison in a circular nowhere. Curiously dubbed ‘Van Gogh’s only painting of a British subject’, in this exhibition, it was inspired by Gustav Dore’s engraving, Exercise yard at Newgate Prison, from magazine, Katholieke Illustratie, 1872, a print of which Vincent owned. For me, it confirms that Dore and, Dickens, who mentioned Newgate in four of his later novels: Oliver Twist, A Tale of Two Cities, Barnaby Rudge and Great Expectations, as well as earlier work, Sketches by Boz, both occupied abiding places in Van Gogh’s consciousness. ‘Cosmopolitans: Van Gogh and British Friends in France’, only shows one painting by a British artist – Roderic O’ Conor’s Yellow Landscape, painted in 1892, two years after Van Gogh’s death, which definitely shows the influence of Van Gogh’s work on his painting. O’ Conor had the privilege of viewing over 340 of Van Gogh’s paintings in the aftermath of his death, before he became known, along with Paul Gaugin, when they and other painters attended Theo van Gogh’s memorial exhibition of his brother Vincent’s work, held in September 1890 in his Parisian flat. The effect of this experience was profound on O’ Conor’s work. There are also two paintings by Lucien Pissarro, son of Vincent’s friend and father figure, Camille, who worked with Van Gogh on occasion, to whom he dedicated his 1887 painting, Still Life, Basket of Apples, shown here, along with other of Van Gogh’s paintings from the period 1886 – 88. Sadly, art is not the only thing to reconsider in regard to Van Gogh, as mental health played a role in who he was. Understanding that his periodic, episodic downs meant that he was a healthy painter working at full throttle at times, and other times not, but that his best work was created when he was at least, in recovery mode, if not yet feeling fully himself, is key. So, given all we know about his struggles and prolific creative outpourings, descriptions of Van Gogh as a mad painter are antiquated at best. Moving onto Van Gogh and British Artists in the early years of the 20th Century as reproductions of his work began to proliferate, was short lived Camden Town Group which only had three exhibitions, 1911 – 12, all at Carfax Gallery, St. James, London. Group leader, Walter Sickert, primarily influenced by his friend, artist Edgar Degas, went on to become an influential figure on 20th Century Art. However, some of the other artists involved with the group, during that time at least, seemed to emulate Van Gogh in all ways possible in relation to their artworks, from colours and brush strokes through subject matter. Imitation may be the highest form of flattery, but it may also be one of the reasons the group dissolved so quickly. Two such painters, are Harold Gilman and Spencer Gore. Gilman is represented by six paintings in this room and Spencer Gore, three. Lucien Pissarro, aforementioned son of Camille Pissarro who relocated to London permanently in 1890, becoming a British citizen in 1916, was one of the founders of this group. Sickert’s painting, The Juvenile Lead (Self-Portrait), 1908, is among those on display, along with four Van Gogh’s, dated 1887 – 89. A painting we’d never encountered before, Still life with plaster statuette, Paris, December 1887, a comely, seemingly aerial view of a small feminine bust, a rose and two novels, against variegated yellow and green ‘cloth’ backdrops, with darker blue background, serves as a gentle, yet potent reminder of Van Gogh’s inherent ability to elevate simple subject matter and give oft interpreted themes his own unique interpretation. Japanese woodcuts were all the rage in Paris in the second half of the 19th Century, a trend which Van Gogh ignored for a time, before embracing their impact on Western culture and incorporating it into his art. An enthusiastic collector himself, Vincent wrote to Theo, with whom he built up an impressive collection of prints, in 1886, when they lived together in Paris. In a letter from Antwerp in November, 1885, Vincent had written, ‘My studio’s quite tolerable, mainly because I’ve pinned a set of Japanese prints on the walls that I find very diverting. You know, those little female figures in gardens or on the shore, horsemen, flowers, gnarled thorn branches.’ A ‘modernisation’ of Van Gogh’s painting took into account the fact that ‘Japanese artists often left the middle ground of their compositions empty, while objects in the foreground were sometimes enlarged. 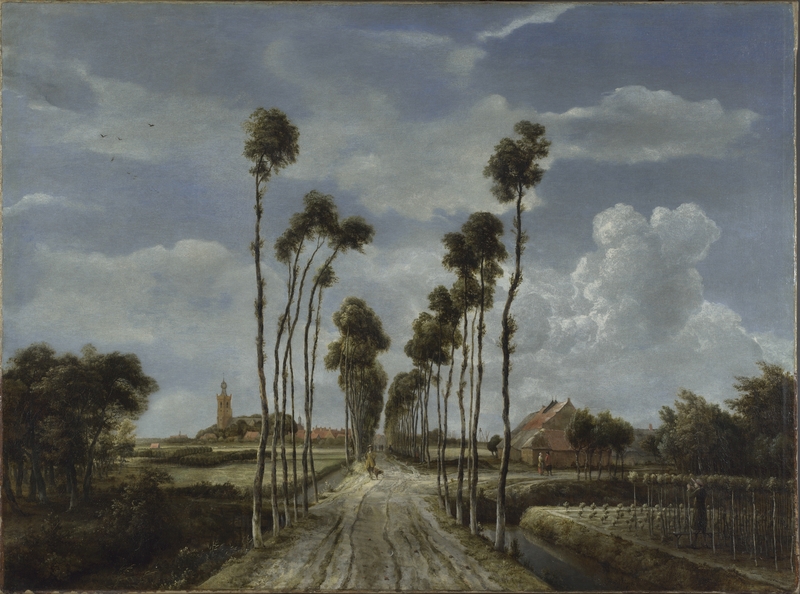 They regularly excluded the horizon too, or abruptly cropped the elements of the picture at the edge,’ according to the Van Gogh Museum, Amsterdam. Although paintings surrounding normally National Gallery housed Sunflowers by various, comparatively contemporary British flower painters, are all, well rendered, most, even pleasingly so, they all seem to shrivel flatly in the presence of Van Gogh’s radiant masterpiece. One of the seven panels painted to decorate Gaugin’s room at the Yellow House in Arles, in 1888, this essential staple of everyone’s artistic diet, is, somehow, more glowing than one remembers, each and every time it is viewed. Purchased by the National Gallery in 1924, where it’s been on display in Trafalgar Square since 1961, this iconic masterwork was once housed in the building it now glows in, prior to its change from National Gallery, Millbank to Tate. By the time we got to this room, we were tiring of imitations, and longed for the sunshine of the real thing. I have to say that it seems to me that the artistic admirers, inadvertent or otherwise, especially in this case, detract, rather than add, one case in point being Christopher Wood’s Yellow Chrysanthemums (1925) which, though pretty, is, like its fellows, decidedly lacking in inner life. In January, 1891, six months after Van Gogh’s death, his young sister in law, Johanna Van Gogh-Bonger (1862-1925) found herself surrounded by hundreds of Vincent’s artworks and a baby, Vincent Willem to care for when her grieving husband, Theo passed away of a brain disease, age 34. True to Theo’s wishes, Johanna worked systematically, to elevate Vincent’s work in the public consciousness, exhibiting it whenever possible, enlisting the aid of those who’d championed him, be they artist friends or critics. 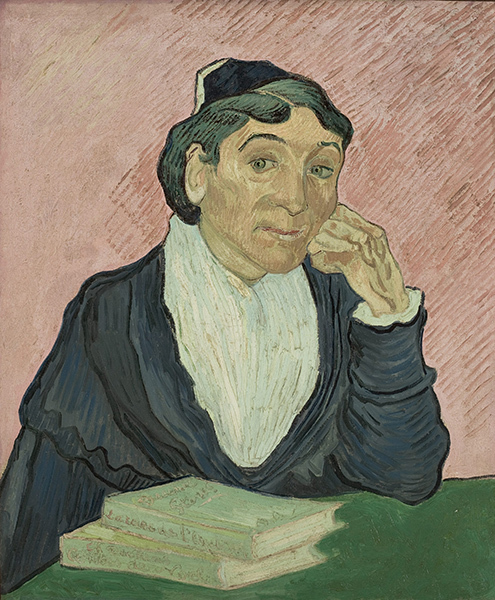 1914 saw her publication of Vincent’s letters to Theo entitled, Letters to His Brother. 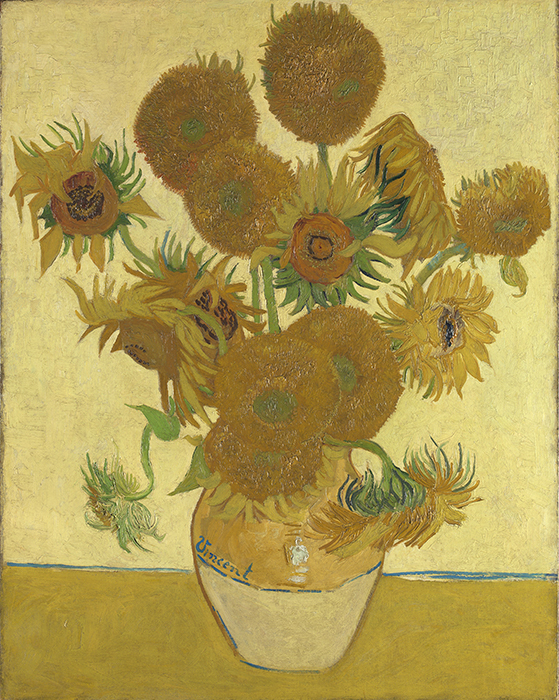 In 1923, when she lent out one of Vincent’s glorious Sunflowers paintings to the National Gallery, she was gently asked to make the loan a sale so the British public and visitors to London could collectively celebrate Vincent’s memory through it. Finally, seeing the sense in the request, she agreed, as she felt Vincent would have wanted it that way, though she’d been used to admiring its loveliness every day for many years. It was, as she wrote, in a moving letter, a sacrifice to Vincent’s greater glory. 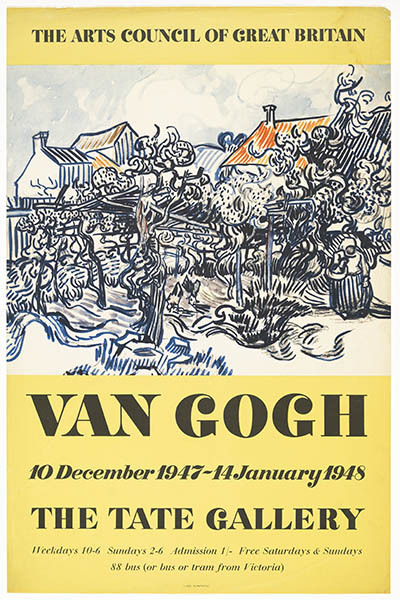 Eventually her son Vincent took up the work of furthering appreciation and understanding of his uncle’s work, culminating in the opening of the Van Gogh Museum in Amsterdam in 1973. Next to last room and Van Goghs’, all five of those on show here, continued to outshine all the homage payers and imitators, coincidental or otherwise, around them, to the point where I hardly even saw them at all. 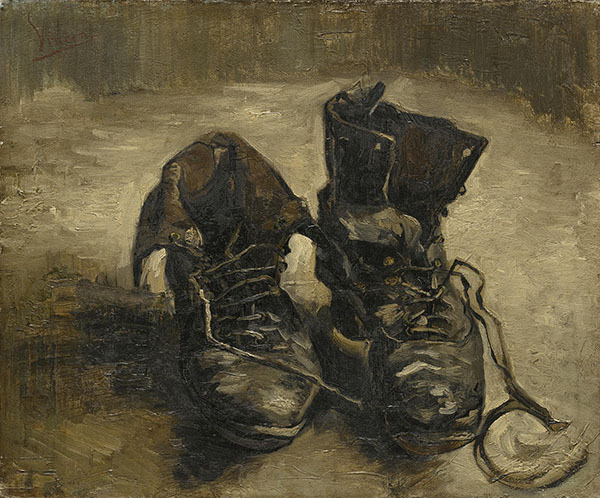 Here, are Vincent’s Shoes, Paris, September – November, (1886), in which he lovingly managed to breathe life into old shoe leather and Olive Trees Saint-Remy, June 1889 which, I was happy to learn is normally housed in the National Galleries of Scotland, meaning I might see it again someday. Another magnetic work, which I’d never seen in person before is small but powerful, Pollarded willows at sunset Arles, March 1888. And there are other Van Gogh paintings here, among them, Self-Portrait Paris autumn 1887, which shows Van Gogh’s growing confidence as a painter experimenting freely with colour. Two more paintings by Christopher Wood are also here, along with two more by Harold Gilman. Other artists on show here include Vanessa Bell, William Nicholson and George Leslie Hunter, along with Augustus John, Samuel John Peploe, Jacob Epstein and Roger Fry. If this exhibition was a film, I’d say it needs editing, but as it is, I am guilty as charged of following my heart to wherever the heart felt pictures were hung. That said, the last part of this room has a power all its own, as hanging there, are Self-Portrait Saint-Remy, autumn 1889 and A Corner of the Garden of St. Paul’s Hospital at St Remy 1889, both of which show Van Gogh’s determination to continue painting, no matter what difficulties befell him, lending poignancy to their power. Also, there are what are now known to have been Vincent’s last works, graphite and gouache on paper, The Oise at Auvers (1890) and incomplete painting, Farms Near Auvers (1890). The final room in the exhibition centres around Francis Bacon’s large, painted explorations of Vincent Van Gogh: Van Gogh in a Landscape 1957, Study for a Portrait of Van Gogh VI 1957 and Study for a Portrait of Van Gogh IV 1957. By his own admission, Bacon was haunted by the ‘gaunt figure’ in Van Gogh’s The Painter on the Road to Tarascan (1888), which he saw as ‘a phantom of the road.’ The painting was destroyed by bombing during WWII, so all that remains are images of it, mere shadows you could say. In Van Gogh’s painting, the artist walking along the road casts a long, dark shadow, while in Bacon’s work, the shadow leads a life of its own. Bacon’s paintings were composed in an era when psychology was on the rise, particularly Freudian and, Jungian, with its shadow side. Bacon also liked what he referred to as, Van Gogh’s ‘severe’ brush strokes. Despite those connections, in the last room of an exhibition centring around an artist who, despite all of the obstacles against him, believed in the power of love, of his subject matter and of his craft, these works seem overly sombre and out of place, making me think they may have been more suited to a smaller room of their own, outside of, yet related to the exhibition. When viewed with four more Harold Gilman paintings and four David Bromberg, the room begins to feel more like filler than fulfilment, more anti-climactic than celebratory, especially in light of the fact that recent evidence casts credible doubt upon the long-accepted belief that Van Gogh died of a self-inflicted injury….A short clip of Vincente Minnelli’s 1956 film, Lust for Life based on Irving Stone’s bestselling 1937 biography provided much needed relief from the stifling contents of the room it was in. That said, Kirk Douglas’s Van Gogh was dubbed ‘most accurate’ by Dutch Actor Jochum Ten Haaf, who played Van Gogh in Nicholas Wright’s play, Vincent in Brixton, in London’s West End and National Theatre, in 2002 and beyond, to great acclaim, when we had an interesting conversation on the subject following his talk at the RA during their 2010 exhibition. 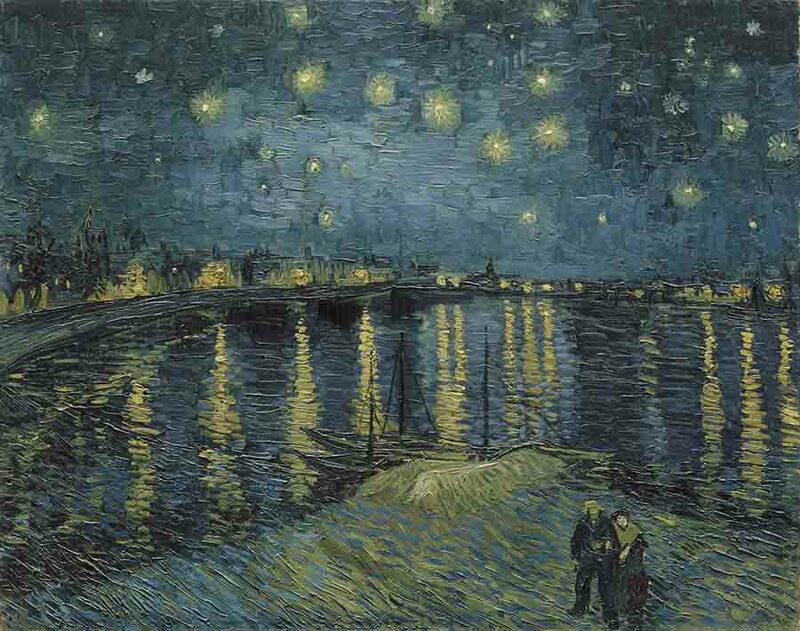 Van Gogh and Britain has already broken Tate’s record for advance box office sales and it’s no wonder, as we could all do with a little more wonder in our lives these days, something Van Gogh enables us to enjoy through his work ad infinitum. Tate’s last Van Gogh exhibition, in 1947, in the same location, another box office record breaker, offered ‘colour-starved’ WWII survivors welcome, soulful solace after years of blacked out suffering and struggle.